Since childhood, both Oberon and Morning Glory had a lifelong passion for dinosaurs. Morning Glory's birth name was Diane, and the other kids nicknamed her "Dianasaur". 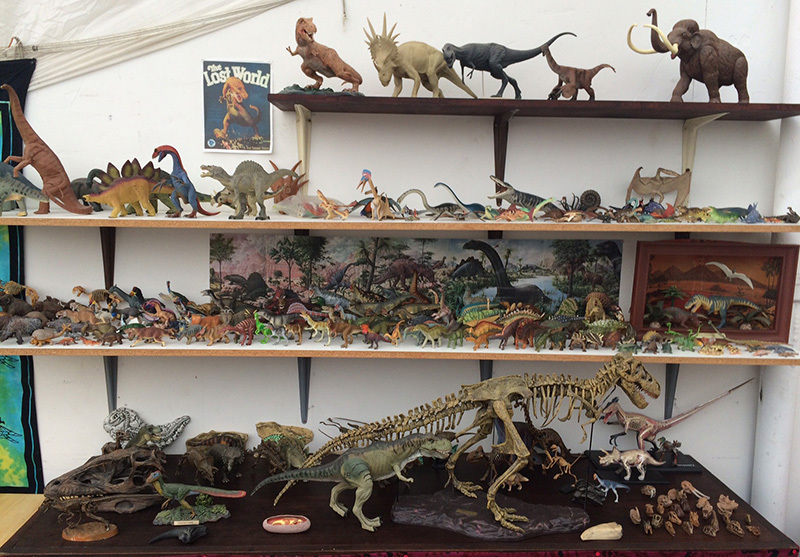 When various toy companies started making realistic plastic models of dinosaurs on the mid-1950s, Oberon started collecting them. As new discoveries were made, he was always looking for the most authentic representation of each species. 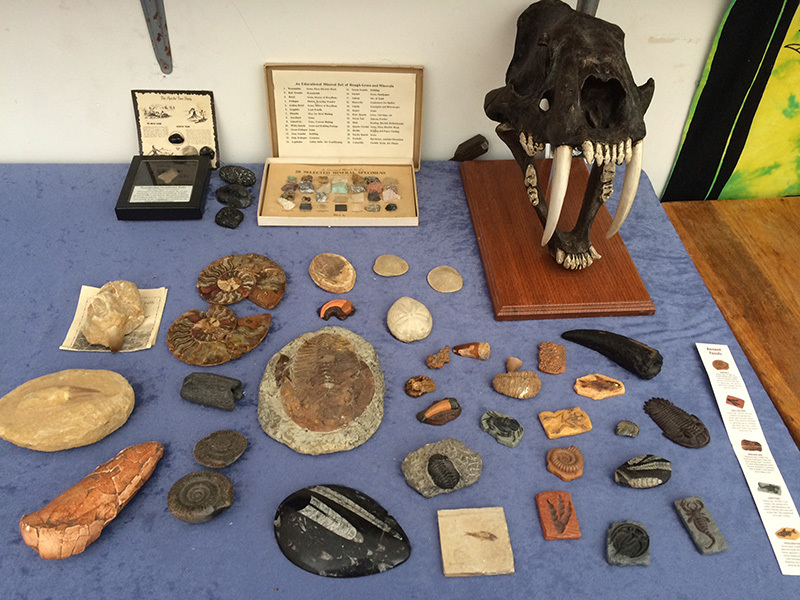 Over more than 60 years, his collection has grown into all the dinos and other prehistoric creatures displayed here, as well as many more which are offered for sale in the Academy gift store, Curiosities. The most interesting item of this exhibit is the full-scale cast of the skull of a Deinonychus (the "raptors" of the Jurassic Park movies), as well as small models of the skeleton, and the animal in life, shown with colorful feathers, as all therapod (two-legged) dinos are now known to have been adorned (birds are actually living dinosaurs!). This model was made by Oberon in 1984, and is acknowledged by paleontologists as the first model ever made of a feathered dinosaur. See the accompanying info text. Another full-scale skull cast is of a Smilodon (sabre-toothed tiger) from the La Brea Tar Pits, along with assorted fossils.